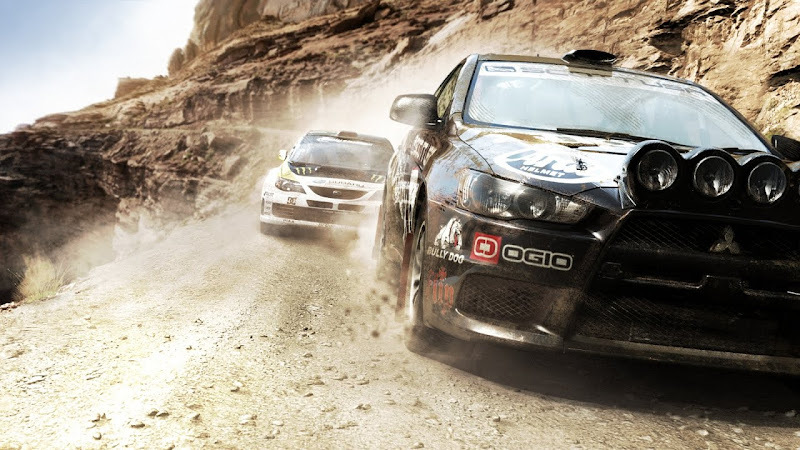 Dirt 2 by Codemasters is a great new off road game for the PS3 and other game consoles that really has us hooked right now. It focuses on rally cars, but you'll also find trophy trucks and open wheel buggies. One of the first things to stand out to us when we got the game going was the in cab view. There are other views, as you'll find with almost any game of this type, but this has to be one of the more realistic and involved in cab views I've seen. I normally don't like playing on this camera view, but found it fun to play around with for once. Having a view of the drivers arms fighting the wheel, and shifting gears adds to the feeling, as does the view of the dash and partial side window. The game lets you win different dash "toys" to personalize your cockpit as well. We also noticed right off that it had Utah listed as one of the track destinations. This was very exciting since we do most of our off roading in Utah. We were further excited to find out the locations were ones that we have enjoyed before such as "Hurrah Pass" and "Kane Springs Canyon". Of course these areas may be a bit embellished on the game, but it was really weird to be driving along and know exactly the area or even the turn in the road that the game was trying to portray! Check out this screen shot of this shelf road in Kane Springs Canyon! I swear I know exactly where this is! This game was produced with some of the stars of the sport, mainly Ken Block, a star of the rally car world and owner/founder of DC shoes. The game lets you choose your own identity, but also lets you become friends and race against Ken, Travis Pastrana, Dave Mirra and others. The tracks range from wide open cross country rally races to the new tight and technical rally cross races found at x-games combining stadium dirt and jumps with pavement. You can go from watching one of these events on tv to playing the game and hardly miss a beat. It's also quite a rush to drive some of the same roads I've driven in real life, but at a MUCH faster pace with no penalty for screwing up. Of course it's not as good as the real thing, but games like this get you close enough to at least feel some of that adrenaline while putting you virtually in some of the worlds most amazing places...sort of. As with other games we've reviewed on this site, this one has no magical "boost" button or the like. It leans more towards reality, which is a good thing, having basic controls such as brakes, a hand brake, steering, and optional shifting with the manual transmission menu choice. Learning to master these controls will speed you up dramatically around the tracks and reward you with wins. It gets addicting trying to shave seconds off and match up against Pastrana or Block on their court while being called out on the radio to "show me what you got"(my kids love this). 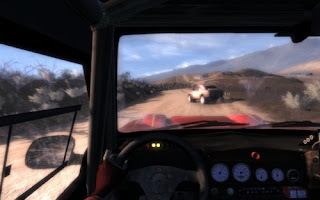 I still might rate "baja edge of control" a better game, but just barely. This one is actually more on the addicting side racing some of the tight tracks, but edge of control has larger environments with much longer races, and you can "freeride". Basically this one focuses on Rally instead of baja, and leans towards the tighter, shorter, technical environments and competitive racing. Unless you're totally lame, you will enjoy this game. It's a bit on the pricey side right now at around $50, but it's been my experience that you get what you pay for most of the time to a certain degree. The $30 games are worth $30 and the $50 games are worth...more than $30. The price may go down, but if your like us and can't wait it's available now, and it's a great way to kill some time while you're wishing you were actually in the dirt this winter! If you liked this and/or other posts, remember that you can let us know by clicking the "like this post" button below! Ya, I am pretty lame, I don't play much video games. I want to hit the snow this winter though, in real life. Looks like a pretty cool game, if I get really bored, I'll probably give it a try. I visit GameStop's website quite frequently looking for new games for my PS3 and never once did they mention Dirt 2. I think you did a great review yourself and I'm off to GS today to pick this game up. 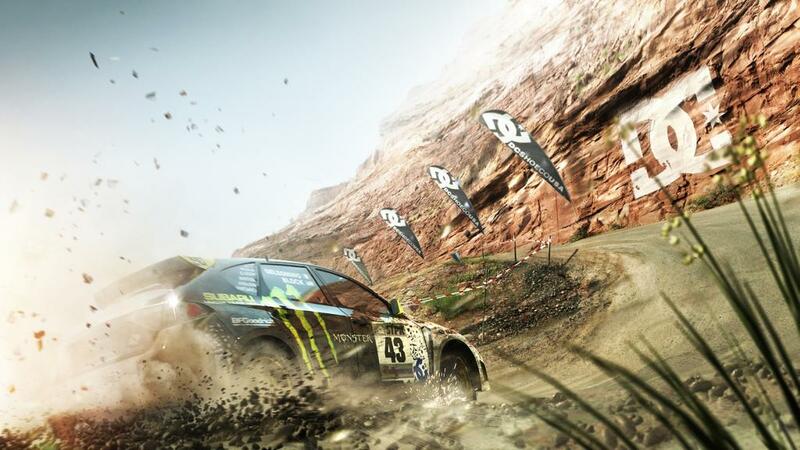 I love racing and off road games the most as it is so I think Dirt 2 will keep me stuck on the couch for a while. Thanks! Thanks, glad I could help. Careful though, it's addicting! Haha. The picture above looks real. is that screenshot from a game? if you don't tell me that was from a game, I would never know. 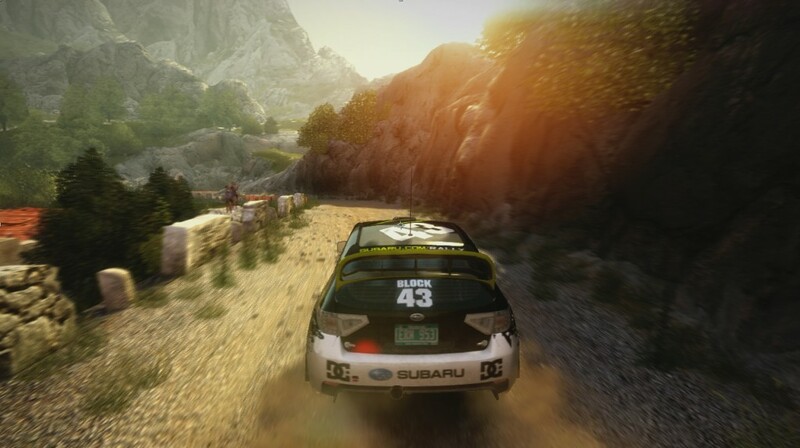 This is an awesome game to begin with, the DC sponsored Subaru rally car is awesome! You guys have to see the drift video to believe! it is simply awesome! The lack of split screen multiplayer is a bit annoying, means my mates have to play against me from their home instead of coming over!